2. 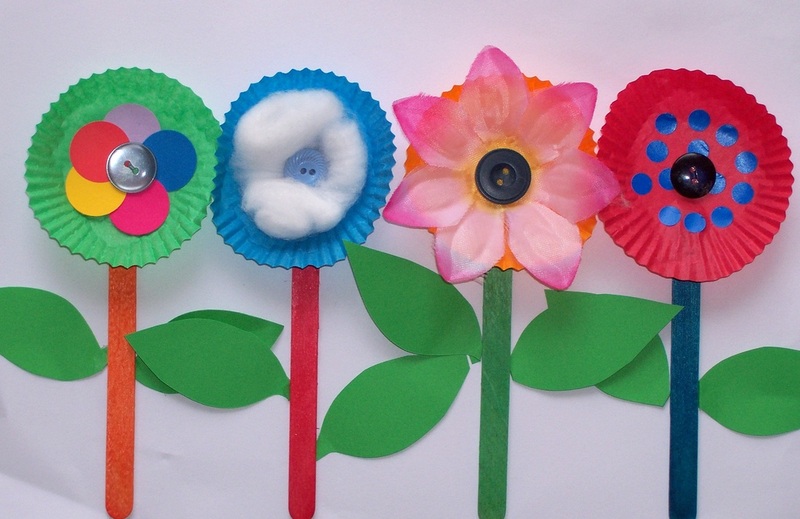 Lay a strip of DSST along the back of 3 or 4 pop sticks (these will be the flower stems). 3. Remove the backing from the DSST and adhere the base of two green paper leaves onto the DSST, so that the leaves will stick out from behind the pop stick stems. 4. Adhere the pop sticks onto the A4 white paper along the bottom, evenly spaced. 5. Place a small piece of DSST (or use glue) on the back of patty pans, and adhere them at the top of each of the pop sticks to be the flowers. HINT: Use DSST to adhere your embellishments where possible, as this reduces mess and doesn't need to dry. 7. 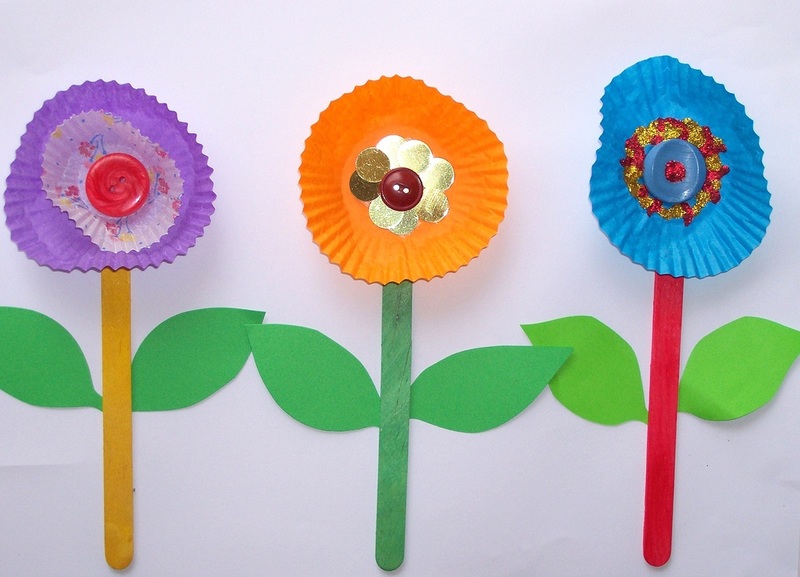 Use DSST or glue to place a button at the centre of each flower.